Koby Stevens (R) has called it quits. 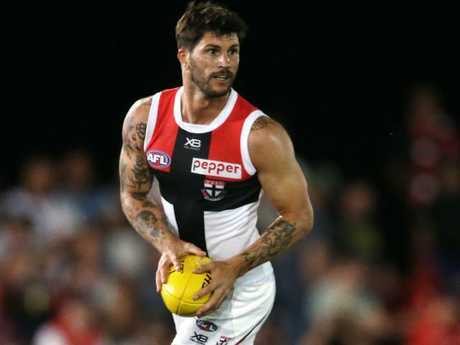 ST KILDA star Koby Stevens has retired from football because of his ongoing battle with concussion. The 27-year-old reportedly told teammates on Monday he had decided to call it quits after health problems had plagued his season. He was knocked out in Round 1 after a collision with Brisbane's Mitch Robinson, which saw him suffer blurred vision, and while he played the following week against the Kangaroos, he never really recovered from the heavy knock. Stevens was diagnosed with delayed onset concussion and hasn't played senior footy since that game against North Melbourne, while he has also been unable to train. The collision with Robinson was the eighth concussion Stevens has suffered in his career, which has seen him play nearly 100 games combined for West Coast, the Western Bulldogs and the Saints. 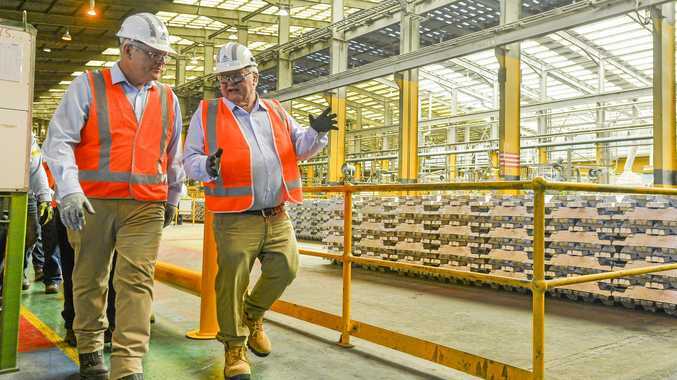 Speaking on Fox Footy's On The Mark in May, Stevens revealed concentrating for more than 15 minutes at a time was tough and said a head knock with Melbourne's Angus Brayshaw last year "felt like a bomb had gone off". 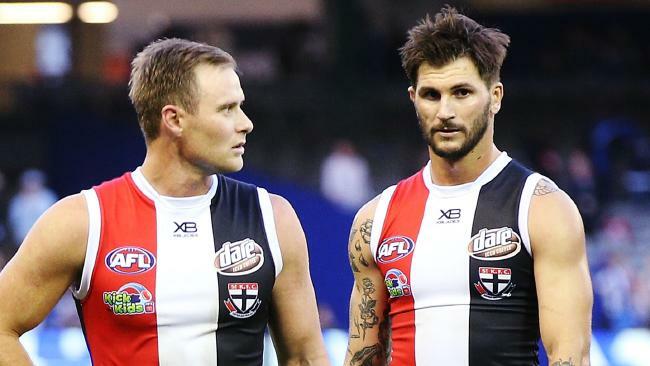 Stevens won’t kick a Sherrin while wearing Saints colours again. "It's a day-to-day thing. Some days I wake up and I'm pretty clear and then I try do a little bit of exercise and as soon as my heart rate gets up, I just get real chronic headache and pretty dizzy," Stevens said. "I wasn't knocked out (after clashing with Brayshaw), but it felt like a bomb had gone off. I couldn't hear anything and it hit me right in the ear drum, so for about 10 to 15 minutes I had ringing in my ears. "I quickly ran off after that but then something happened on the field. There was a quick sub that had to be made, so I just ran back out but I had no balance. I was leaning to one side where I'd been hit and was about to fall over, so I knew something was pretty bad then. "I obviously went back off then and did all the concussion tests and didn't play the rest of the game." Brain scans this year have forced Stevens to confront the scary reality that his health has been seriously affected by repeated hits to the head. "I was pretty good in the early days, but we had a scan result come back that suggested that I did have changes to my brain," Stevens said. "I was pretty hurt as it was pretty tough to take … I've taken hits, come back from them strong but to have someone say there's been changes to my brain and they can't really tell you what they are, they're just there, it's tough." The Eagles recruited Stevens with pick 23 in the 2009 draft but he only played a dozen games for the club before moving to the Bulldogs, who he represented 63 times, before joining St Kilda last year.